What good is a strong frame if you don’t have the components to support it? This is why we use only the best of parts on our trailers like Galvanized Dexter torsion axles, radial tires, LED lighting, and 10″ self-adjusting brakes. Our roofs are built with rugged 1″×2″ aluminum tubes on 16″ centers. That means a roof nearly 2.5 times stronger than many other trailers on the market. We tend to get a lot of snow in New Hampshire, our trailers are ready for it. We fully weld all of our trailers to help build the strongest aluminum trailer we can. We know what types of roads our trailers are dragged over when they leave our facility and we expect our trailers to tow straighter and last longer. Every trailer we build is checked and double checked before it leaves our shop. 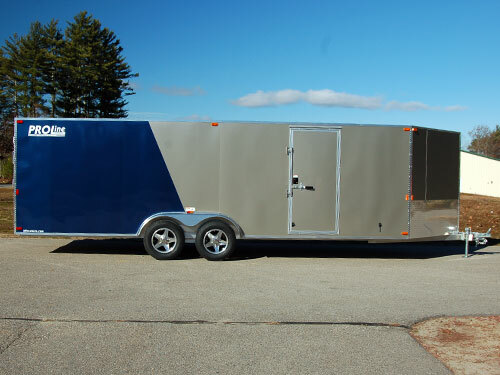 We want to make sure our trailers are looking their best with screws lining up, lines cut straight, doors installed tight, and every trim screw properly located. 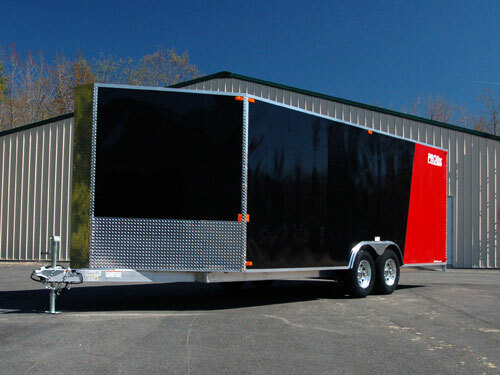 We are a family owned & operated NH trailer dealer & manufacturer. Any time a customer calls a family member answers the phone to make sure questions are addressed in a timely manner. This is the key to our top-notch customer service. Lead times typically keep us out anywhere between 3 and 6 weeks but can be longer. If you need a trailer in a hurry please check out our inventory page to see what’s currently available. Also, don’t be afraid to call, as we’re always building trailers to have in inventory and may be building exactly what you need. For deposits we can take Visa, Mastercard, Discover, cash, or check. For final payment of your trailer, we request that you pay in cash or a bank check. We also have financing available through Sheffield Financial. 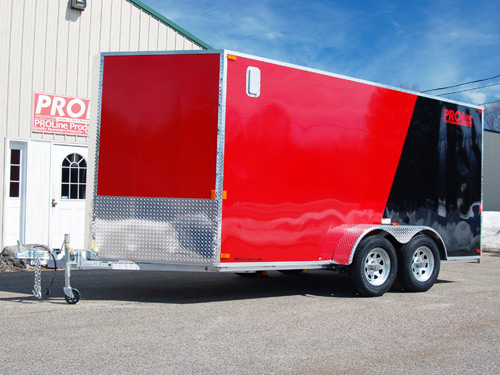 We are quite a bit different than other trailers for sale in NH where many of our trailers are built to spec as we keep a smaller inventory. The overwhelming majority of our completed trailers are stored in a warehouse until they’re purchased and picked up. If you come during business hours we can show you our current inventory as well as any completed and ready to pick up trailers. 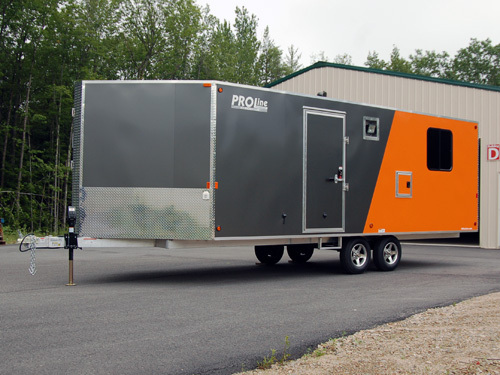 So come on by and check out why PROLine aluminum trailers are the best quality and best value.